Airwheel is devoted to providing customers with variety of scooters to meet their diversified demands and to give them the best riding experience. To extend its consumer base, Airwheel released an electric drift hover board name M3 that is a desirable gift for kids. Skateboards are popular among many young boys and girls. According to the figure, there is no obvious difference between Airwheel M3 electric skateboards and common skateboards. Both of them are made up of four wheels and a board. In fact, they are totally different inside. Different from its previous models, Airwheel is an electric skateboard featured by its powerful motor and 2.4G remote control. Many parents stop at the show window to see Airwheel M3. They ask for the detailed information about it and they intend to select it as the gift for their kids. Kids are surprised about my delicate figure. In fact, Airwheel M3’s board is handmade by world-famous designer. M3 electric drift hover board has many fashionable and cool stickers in different patterns, such as Spider-Man, Skull, Baymax or Batman and on, which is one of main reasons why parents are willing to choose it for their kids. More importantly, the stickers, board, and battery can be DIY according to kids’ preferences, too. Besides, the tires of M3 are wider than common electric skateboards. Therefore, the ground holding performance of M3 electric air board is very excellent. Airwheel adopts high-quality tyres and it is the same with M3 that are customized. They have strong road holding capability and better adaptability to some tough road conditions. Some parents also ask where Airwheel M3’s energy comes from. Actually, Airwheel M3 is powered by lithium-ion battery and I have two battery capacities that are 81.4Wh and 163Wh. Therefore, M3 can keep kids company until they are exhausted. In addition, Airwheel M3 is also equipped with a wireless remote control and kids can control it more easily. Therefore, Airwheel M3 wireless remote control skateboard is what the parents exactly want. If they give their children a set of Airwheel M3, their children must be bliss and jump at it. 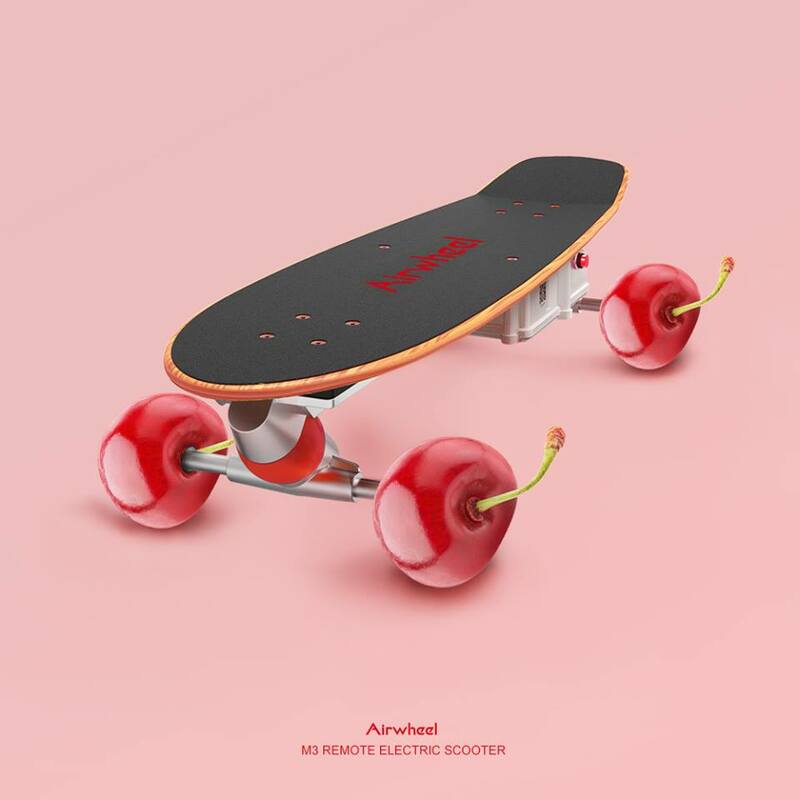 Kids are going to be very satisfied with Airwheel M3 motorized skateboards.